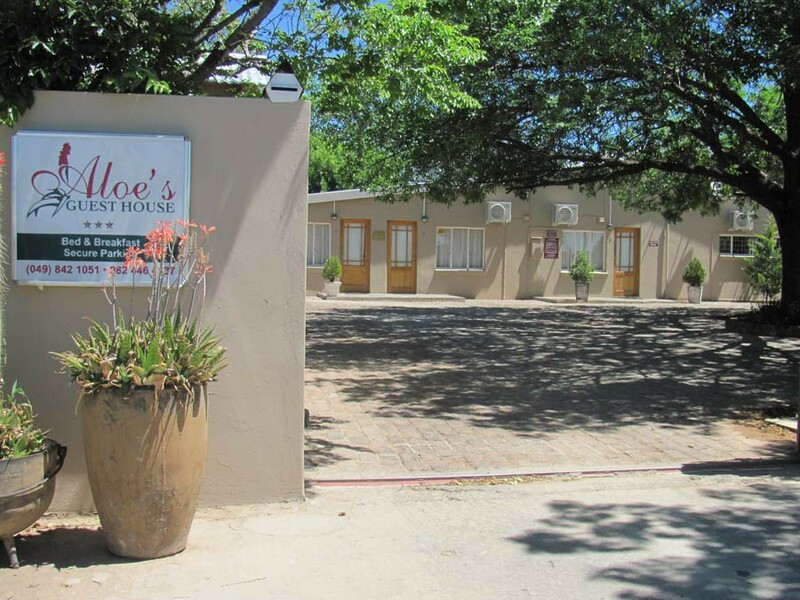 Aloes Guest House offers our clients a convenient and easily accessible stay. We strive to provide good value for money. 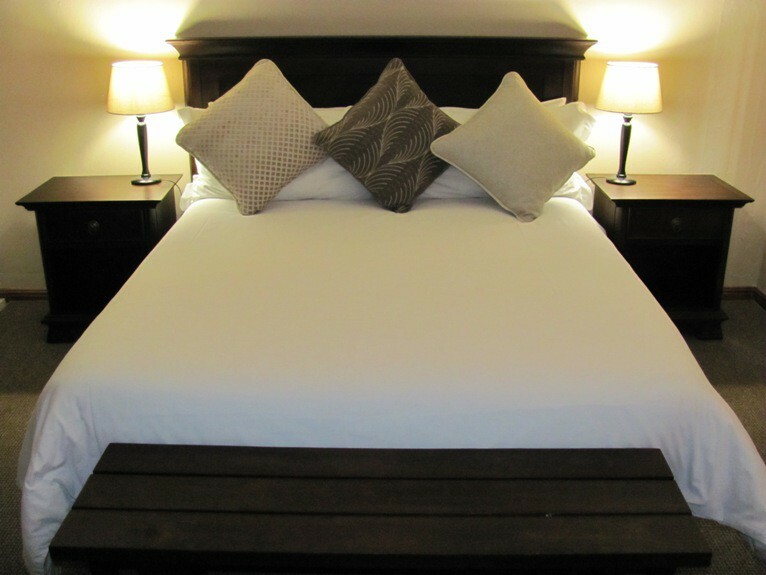 Our bedrooms are all en-suite and stylishly decorated and beds are made up with crisp white linen. 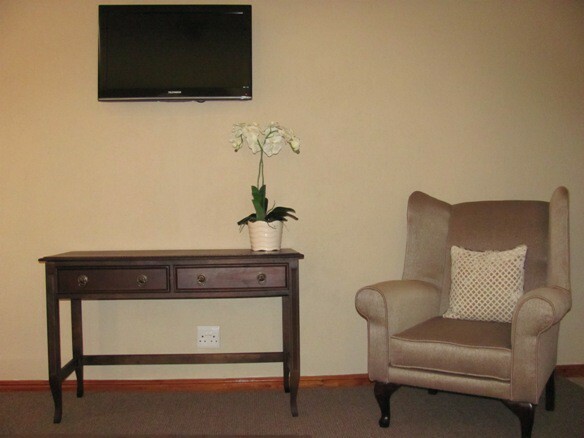 Each room also has air-conditioning, DStv, coffee & tea making facilities and selected DStv channels. 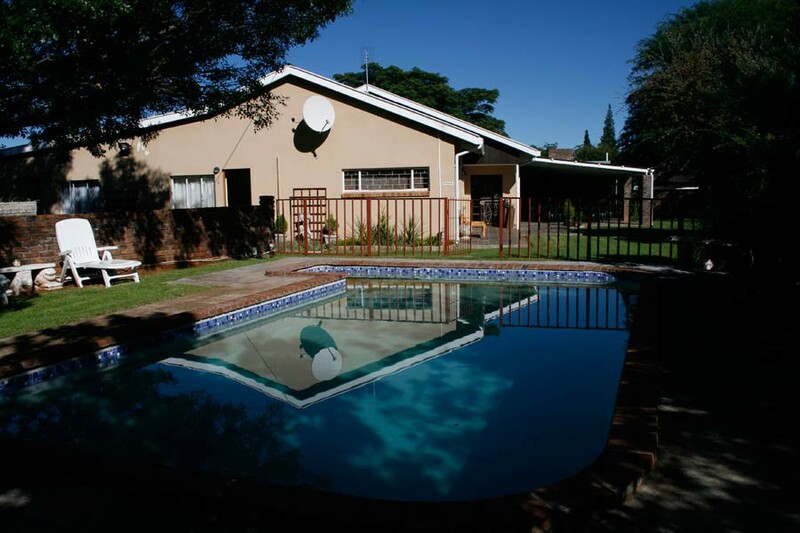 The garden offers clients a swimming pool and braai facilities. 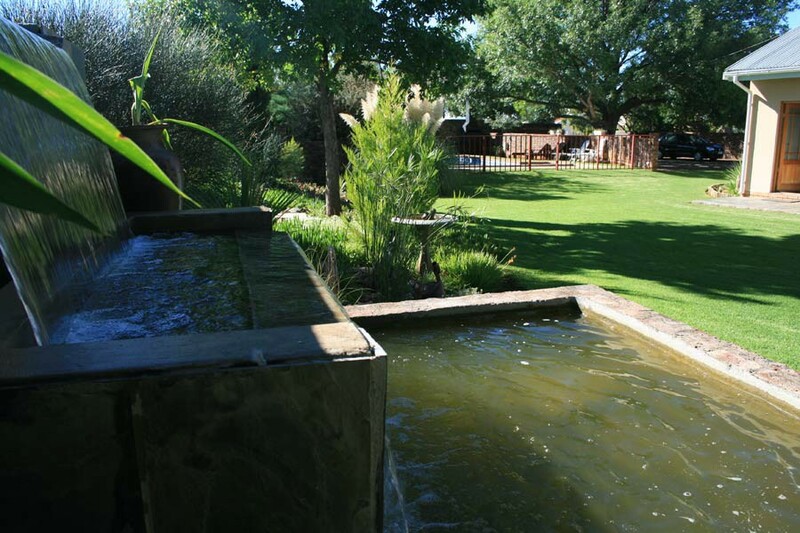 Aloes Guest House consists of 8 stylishly furnished rooms overlooking the tranquil landscape of the Karoo. All the rooms have DSTV, coffee and tea tray and ensuite bathroom shower. 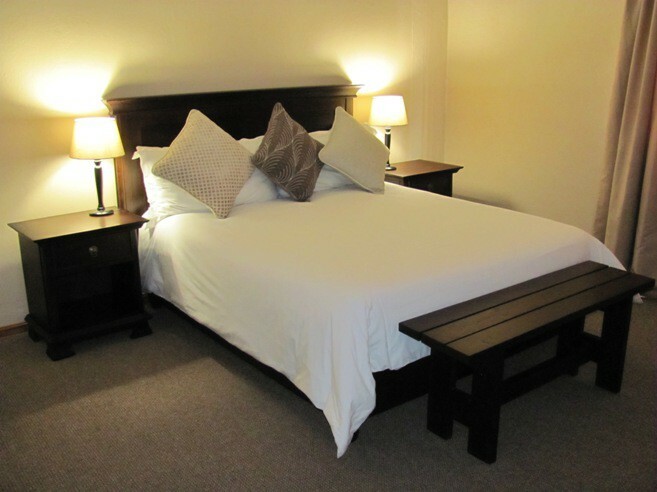 Bedrooms either have two twin beds or a double/queen-size bed. We have also put in sound proof windows to keep noise levels to a minimum which ensures that our guests enjoy a good night's rest. 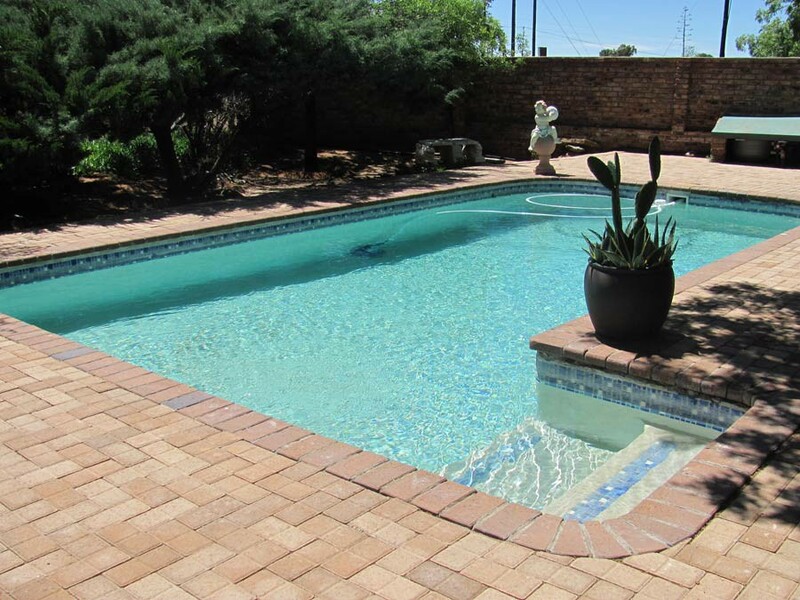 After a long trip cool down and entertain your family around the pool with outside braai and enclosed by a fence for safety of small children. 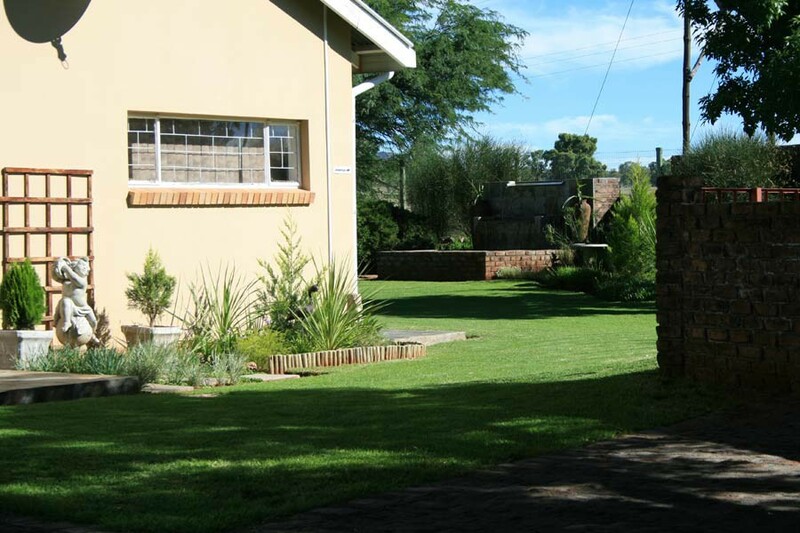 There is a beautiful garden, outside undercover braai facilities and secure parking. Experience the most extraordinary sunset over the mountains.